• Football, Friends & Fun for a cause! Will it be the 'The Perfect Storm'? 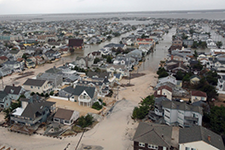 1.2.1 Foundation has embarked on an initiative to help the survivors of Super Storm Sandy. As a result of the storm's wrath in the northeast, more than 100 have perished, thousands of homes have been destroyed or severely damaged, and more than 250,000 vehicles have been ruined beyond repair. Several organizations are working to help the victims of Sandy. 121 Foundation is too. In keeping with our philosophy that 100% of any donation raised shall go directly to the people who need it most, we have located the Atlantic County Special Services School District in Atlantic City, New Jersey, a school in one of the worst storm damaged areas, as the recipient of our funds. Their education professional's work with 425 special needs students, who for the most part come from poor families, many of who have suffered severe losses. The funds raised by 1.2.1 Foundation will be used to purchase super store gift cards for distribution by school administrators to the families. Event details are in the right column. (FEIN 72-1135603) 501(c)(3), a nonprofit organization. To send a check or use a credit card for this event click here. For more info on our past events click here.